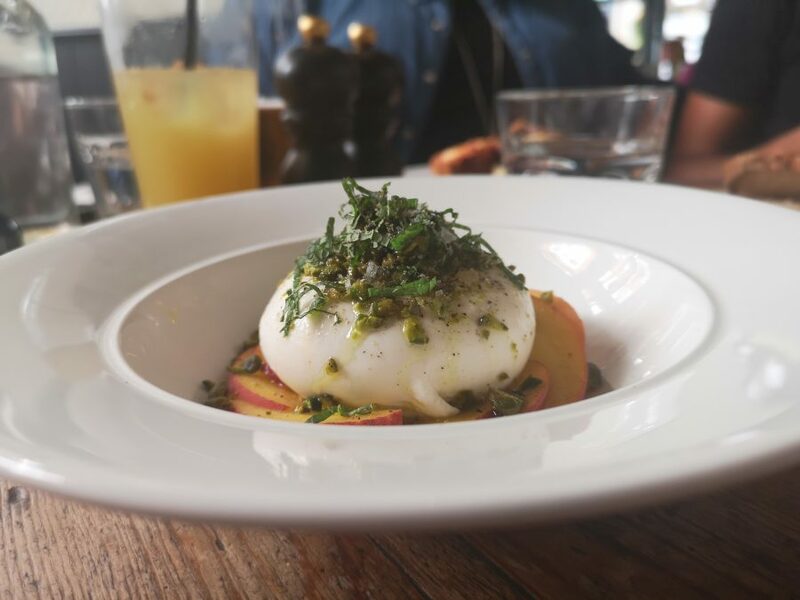 Dan Doherty made a name for himself as exec chef at Duck and Waffle; the food there was always rather bloody good. It was interesting then to see him leave the role and open his own pub in Marylebone. 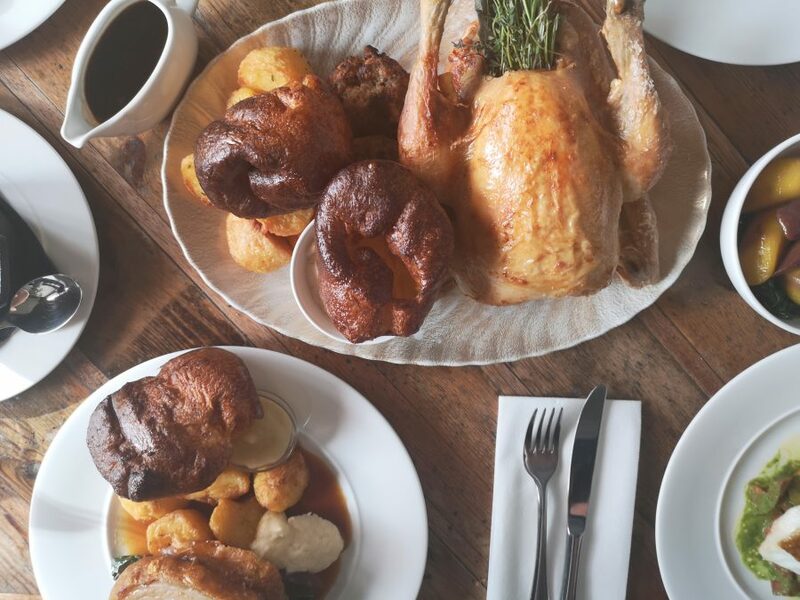 The Royal Oak is one of those pubs that’s perfect for a Sunday roast. 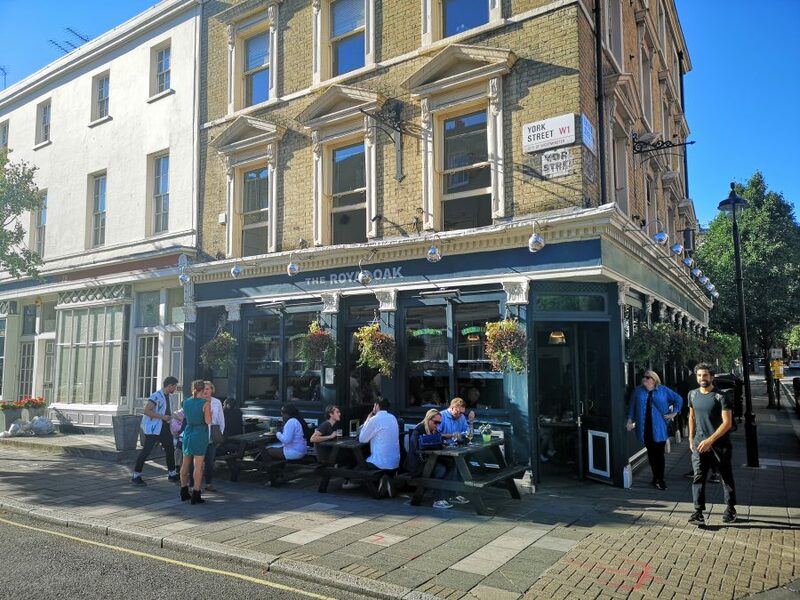 It’s bright and airy with a relaxed vibe, service is chilled and friendly and the food isn’t whacky or weird. Starters of burrata with white peach, pistachio and mint (£9) and steak tartare with Marmite and grape mustard (£9) are the sort of dishes you want to eat. They focus on great quality ingredients kept simple. 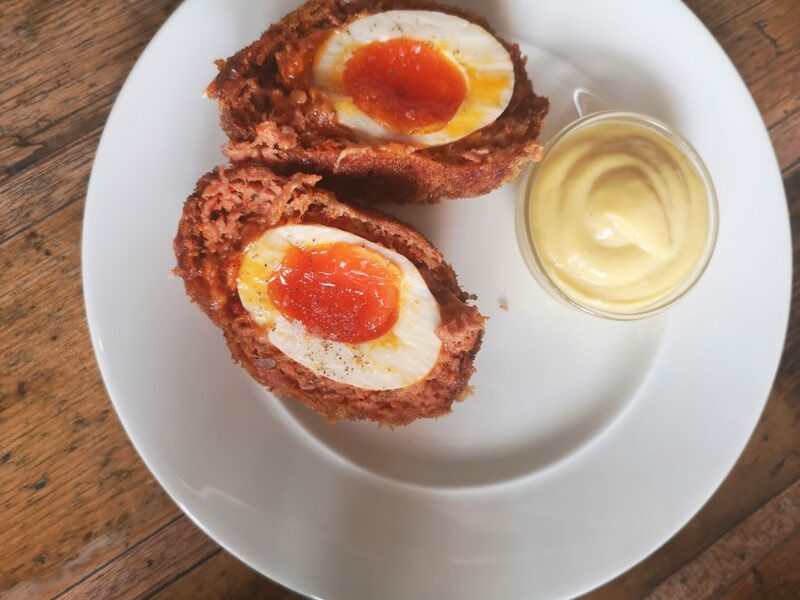 Nduja scotch egg (£6) is something of a signature dish. It’s made for Instagram AND the mouth. The spiciness from that spreadable sausage works perfectly with the gooey egg yolks and a punchy roast garlic aioli finishes it off. A whole roast chicken from Castlemead (£32) sees soft, juicy chicken with crisp and soggy skin – you know the sort. The flesh has an almost steamed texture which is lush. 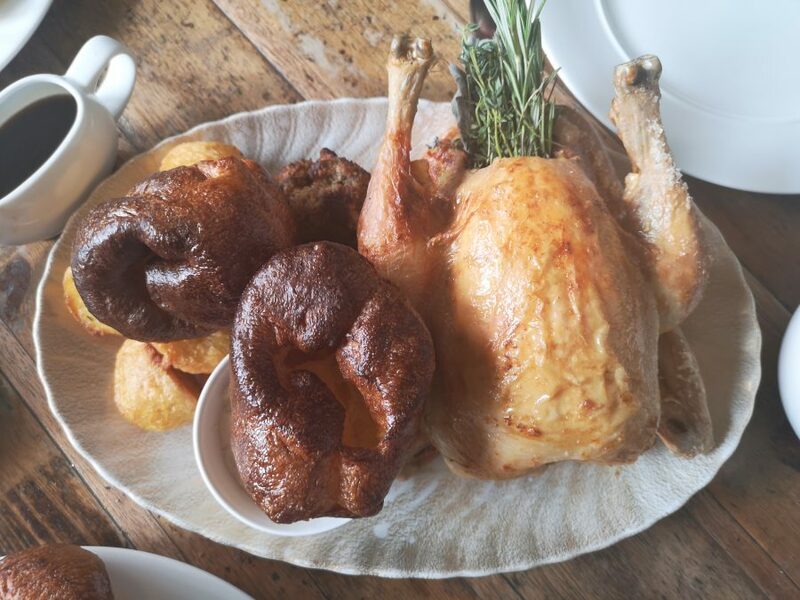 When I posted a pic of the chick on my Instagram, a few people tuned their nose up that it comes with a Yorkshire pudding. “It aint tradition!” they whaled. I for one like a Yorkie with anything I eat so was more than happy. A cracking Yorskhire pudding it is too. 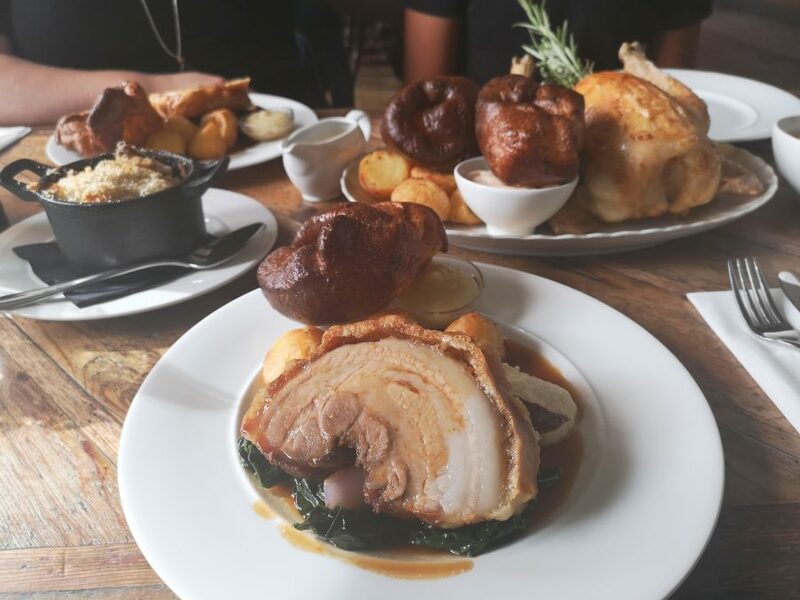 Berkshire pork belly (£19), which also comes with a Yorkie, is cooked so spot on you get tender meat and a thick layer of soft fat topped with crisp crackling. A sweet and tangy apple sauce cuts through the richness brilliantly. It’s piggy perfection. 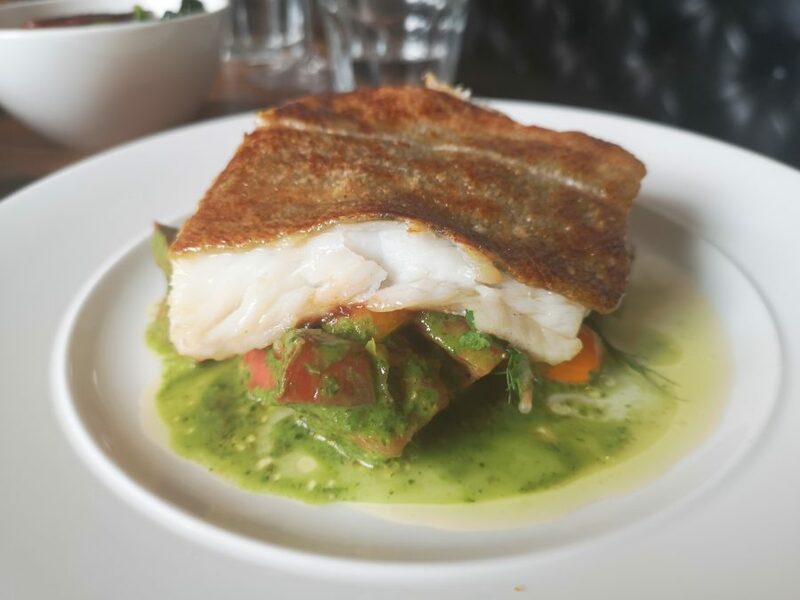 For non Sunday-roast-lovers the roast cod with vine tomatoes and mojo verde (£15) is just the ticket. That crisp fish skin gives the pork belly a run for its money. A lighter and far more delicate dish than its counterparts. We skip pud as we’re that full (portions are generous) although the apple and plum crumble sounds right up my street. A reason to go back I think. 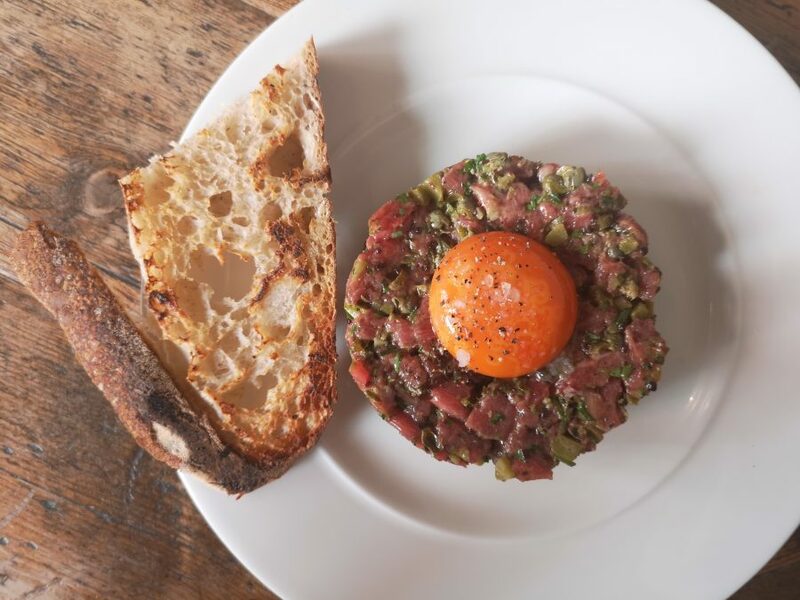 That Dan Doherty certainly knows how to cook.